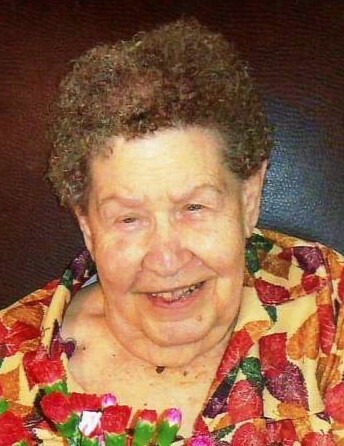 Helen Barbara Bauman, age 90, of rural Kendallville and Skinner Lake near Albion, died Friday, March 22, 2019 at Parkview Noble Hospital in Kendallville. Mrs. Bauman was born at Arcola, Indiana on June 6, 1928 to James and Dora Snyder. Her family moved to Noble County in 1938 and she graduated from Rome City High School in 1946. She was baptized and confirmed at St. John Lutheran Church in Kendallville and she was married to Robert Eugene Bauman in 1950 in the church. Her husband of 57 years preceded her in death on April 11, 2007. Family, farming and fishing were her first loves in life. After moving from the farm, she filled her time with reading, working crossword puzzles, and bird watching. She was a member of St. John Lutheran Church and Fun N’ Fancy Homemakers Club. Daughter, Colleen and Oscar Godoy of Kendallville. Son, Kriss Bauman of Kendallville. Son, Mark and Phyllis Bauman of Kendallville. Five grandchildren: Denise Gaff of Kendallville; Lisa Terry of Kendallville; Carrie Ann Bauman of New York; Aaron and Laramie Bauman of Albion; Kriss Bauman II of Kendallville. Four great grandchildren Alexis and Nick Terry; Beau and Emily Bauman and 5 step great grandchildren. She was also preceded in death by her daughter, Renee Fischer in 2014; grandson-in-law, Clayton Gaff in 2017. Visitation will be Sunday, March 24, 2019 from 1:00 – 6:00 PM at Hite Funeral Home. Funeral services will be Monday, March 25, 2019 at 10:00 AM at Hite Funeral Home with Rev. Philip Rigdon and Rev. Regan Ford officiating. Burial will follow at Sweet Cemetery near Albion. Memorial donations may be made to Sweet Church Community Organization or St. John Lutheran Church.